By Eric Toler, an intern in the ITA’s Market Access and Compliance unit. 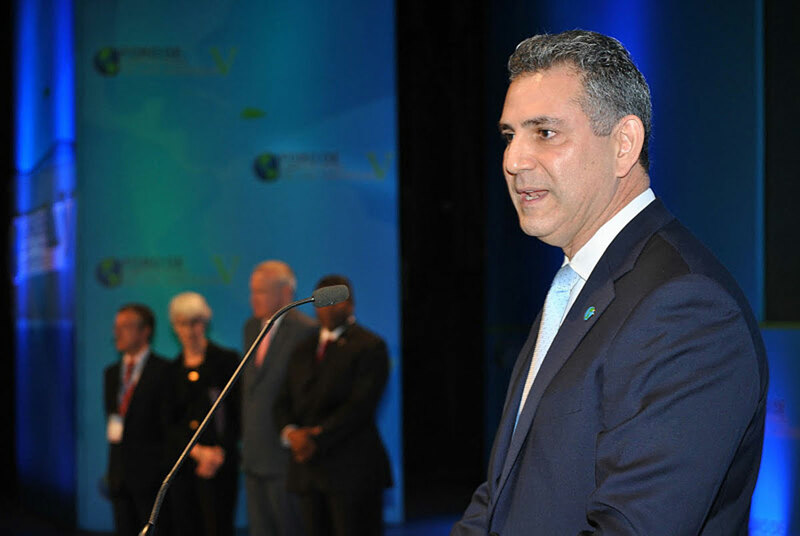 At the fifth Americas Competitiveness Forum, held this year in the Dominican Republic, representatives of more than 30 countries from throughout the Western Hemisphere pledged to take steps to foster long-term economic prosperity and support growth in trade throughout the region. The United States sends more than 40 percent of its exports to the Western Hemisphere, making the region one of our most important trading partners. And with the recent passage of the Colombia and Panama free trade agreements, U.S. economic ties with the region will only deepen. On October 5–7 at the Americas Competitiveness Forum (ACF) in Santo Domingo, Dominican Republic, a delegation from the International Trade Administration (ITA) joined with its counterparts from throughout the Americas to chart a course for enhancing the competitiveness of the region’s economies, demonstrating the long-term commitment to strengthening economic ties with the region. Now in its fifth year, the ACF has emerged as the premier economic and commercial event of the Americas. The inaugural ACF was held in Atlanta, Georgia, in 2007. As host, the Department of Commerce was responsible for developing the core themes and unique programmatic structure of the event. The success of the inaugural ACF has been replicated in the subsequent four forums. The ACF also featured the annual meeting of the Inter-American Competitiveness Network (or RIAC, for its Spanish acronym). RIAC was established in 2009 at the third ACF in Santiago, Chile. It brings together representatives from more than 30 national councils from throughout the Western Hemisphere’s to discuss the state of the region’s competitiveness, exchange experiences and best practices, and consider reforms and public policies. High on the agenda at this year’s meeting of the RIAC was a vote on the Santo Domingo Consensus, a set of 10 policy objectives designed to promote a more competitive and prosperous region. Taking into account the need to foster growth and competitiveness amidst an environment of international economic uncertainty, the objectives of the Santo Domingo Consensus call for, among other goals, investment in education and human capital; improvements in infrastructure and the business environment; increased access to capital; and the promotion of trade(see sidebar). The Santo Domingo Consensus was approved enthusiastically by members of the RIAC, and will next be presented to hemispheric leaders for their endorsement at the Summit of the Americas that is scheduled to be held in Cartagena, Colombia, in April 2012. Both the ACF and RIAC provide a platform to promote reforms that will support economic growth in the Western Hemisphere and which will in turn help increase and encourage the export of U.S. products, services, and technologies throughout the Americas. The next ACF, scheduled for October 2012, will be held in Cali, Colombia. For more information about this year’s ACF, go to www.competitivenessforum.com.